Cinthia Pasillas was born in “El Chayote,” a small ranch in the town of Aguascalientes, Mexico. For Pasillas, her birthplace defines who she is. She’s traditional and hard-working like the people, but unlike her pueblo, her dreams have never been small. Today Pasillas is an assignment desk editor and story producer for Telemundo in San Diego. 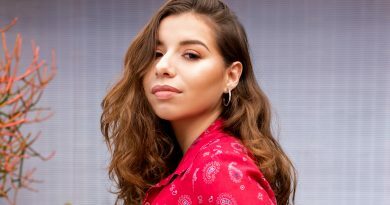 Shortly after graduating from CSUF, she attended a conference for the National Association of Hispanic Journalists, where she met representatives from the station and was offered a full-time position less than two weeks later. 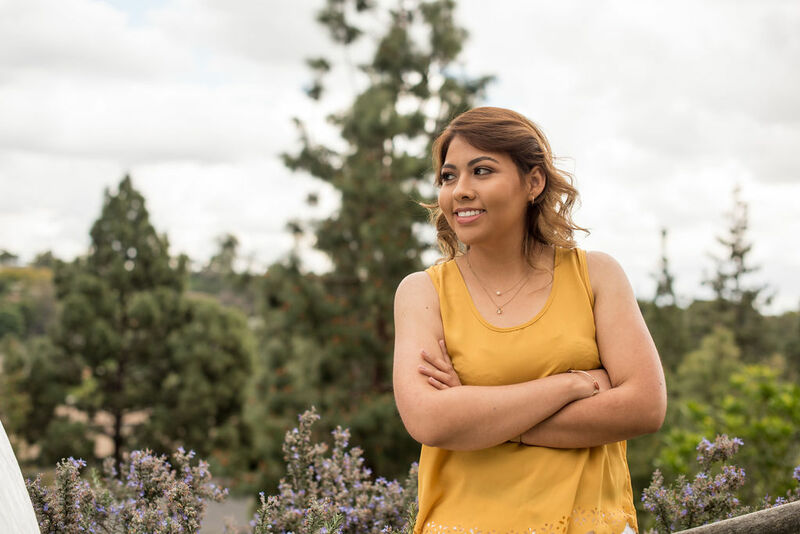 In three years, Pasillas hopes to be a reporter for Telemundo because she wants to inform, educate, and help her community. During her senior year of high school, Pasillas took a journalism class called Titan Tube. There she produced a weekly newscast, which gave her experience in writing, editing, and conducting interviews. Pasillas attended CSUF with her older sister as first-generation students. She recalls the difficulties they experienced finding opportunities on their own, without family who had done so before. “There was no one before us who could guide us,” says Pasillas. 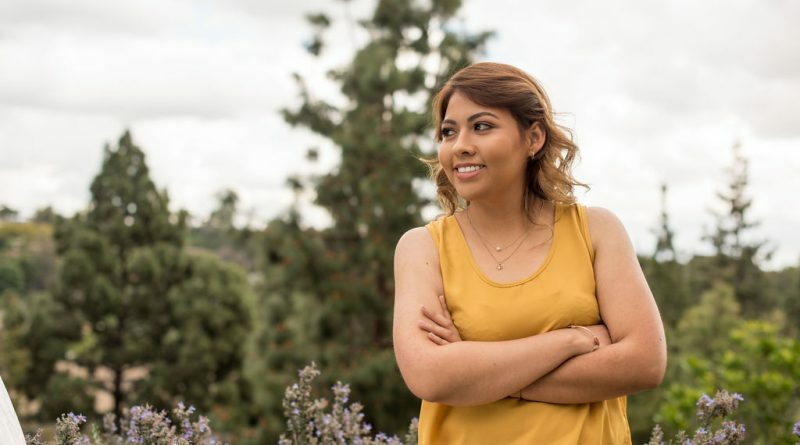 In her four years of undergrad, she took part in the Latino Journalists of CSUF and the Latino Communications Institute, reported for Al Día, and worked three internships and a job on campus, all while maintaining the grades to graduate with honors. Pasillas read books voraciously, which she believes was key in mastering English. However, once situated in the U.S., her family returned to Mexico when she was in fourth grade to obtain green cards for her mother, sister, and herself. Pasillas’ father got his green card in the 80s and her little sister was already a citizen because she was born here. Her family waited three years for their green cards before they could return to the States. Pasillas treasures those years in Aguascalientes because she spent them with both sets of her grandparents, especially since her grandmother passed away last year. In junior high, when it was time to go back to the U.S., Pasillas was distraught at having to leave family and friends behind and start all over again. However, she understood that they could now travel freely between the U.S. and Mexico. Deeply influenced by her hometown, Pasillas proudly intertwines her Mexican roots through the stories she tells as the brains of the operation at Telemundo.